Black Friday: Give the gift of free coffee for one month for $40! The Starbucks Brewed Coffee Refill Tumbler is now available! 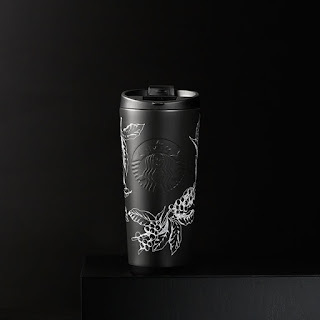 Use this double-walled tumbler and get one free grande brewed hot coffee or tea at participating Starbucks® stores every day in January 2016. While Supplies last. The vacuum-sealed coffee tumbler gets you a free grande brewed hot coffee or tea every day in January. Just bring it in to a participating Starbucks® store and let us fill your cup with joy. Embossed Siren logo. Holds 16 fl oz. Handwash only. Do not microwave.